To perform a Wi-Fi site survey analysis, we have learnt how to create a Wi-Fi site survey project on Acrylic Wi-Fi Heatmaps. 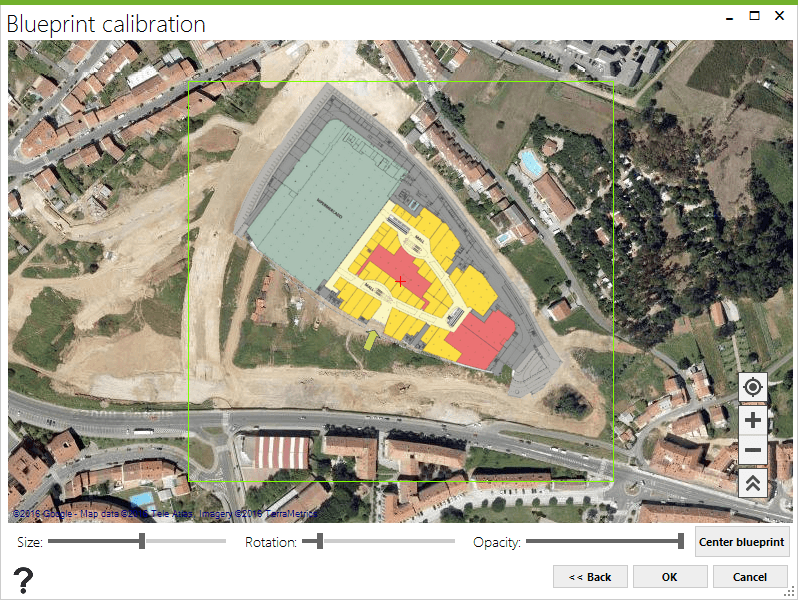 In this article, we will learn how to add a blueprint for site survey project indoor locations, and then geographically calibrate them to locate their positions and be able to perform Wi-Fi measurements for an accurate site survey analysis. There are no location blueprints available. 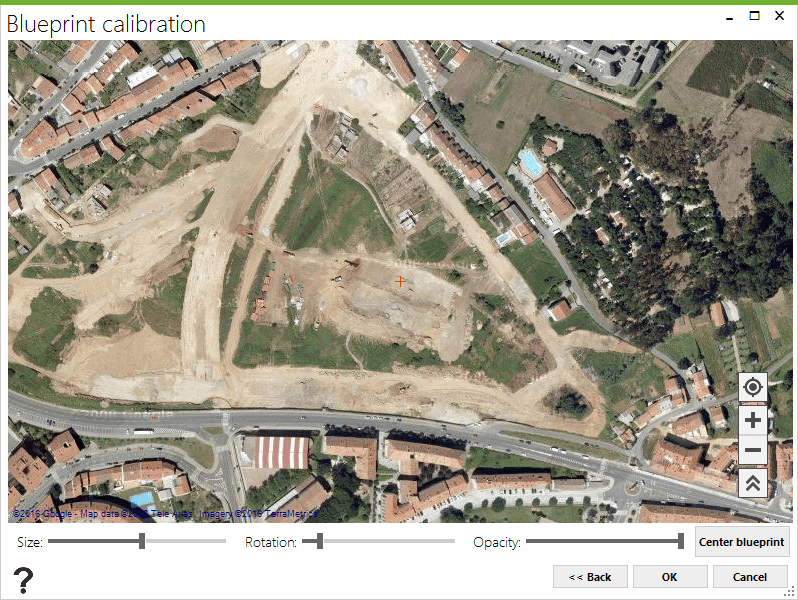 Measurements are to be performed directly over a satellite map, for example, for an outdoor site survey or when using a GPS device. If a blueprint will be used for the coverage analysis, which is recommended, and after selecting the blueprint upload option, the following window will be shown. The first step is selecting the blueprint image file. Supported formats are: jpg, jpeg, bmp, tiff, gif, and png. 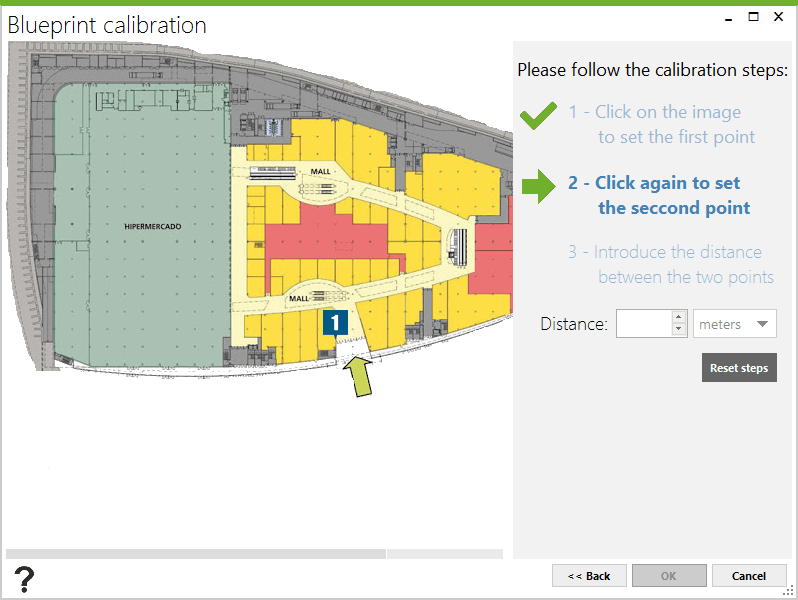 After selecting the image file, you will have two calibration options: assisted calibration for geopositioning the blueprint, and manual calibration, for using when a blueprint scale is available. 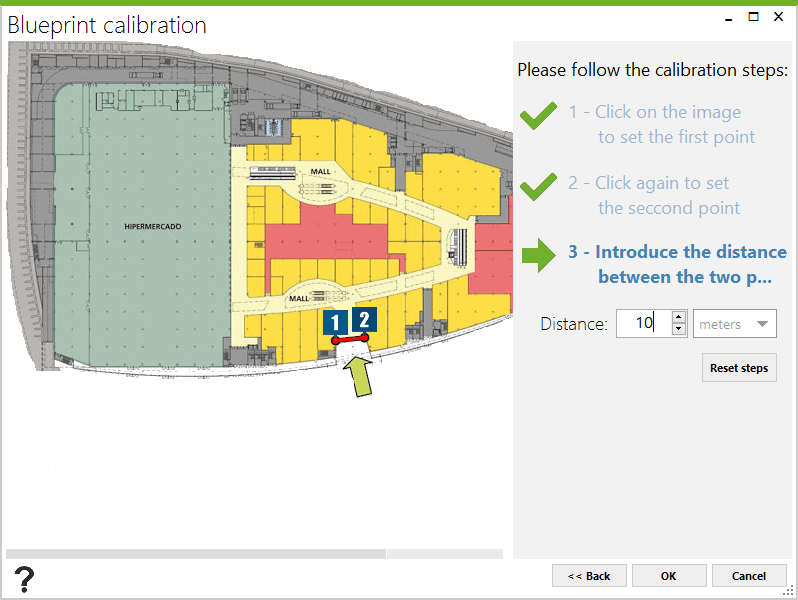 When selecting option “A”, assisted calibration, a calibration window showing a world map is displayed. On the upper corner you can select the satellite map provider of your choice (Google Maps, Bing, etc.) and use the search field to move to a specific location. 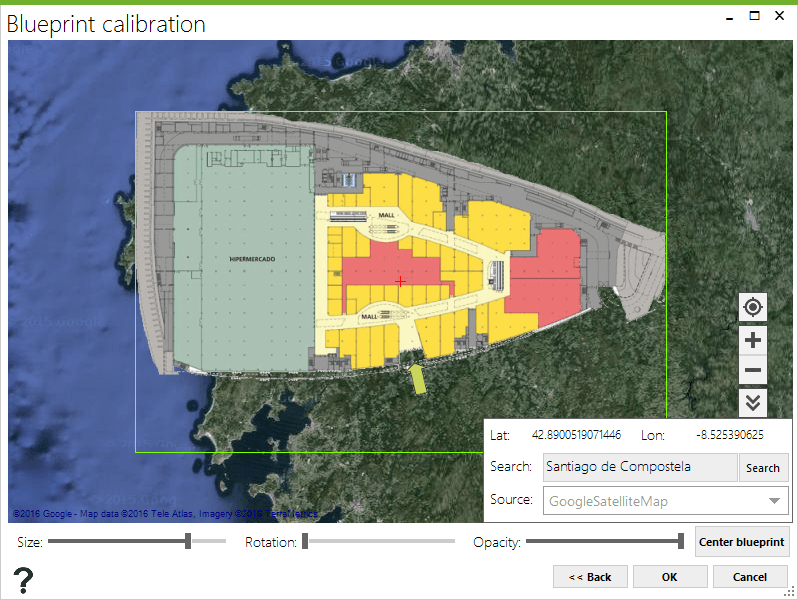 When selecting the site survey location, you may want to unmark the “Blueprint Image Visible” box to then use the zoom selector until finding the target building. In this last step, we show the building blueprint once again and use the size and rotation selector until adjusting the blueprint image to the Wi-Fi site survey location. Bear in mind that the blueprint can be re-calibrated at any time while keeping all the previous measurement references. If the calibration fails to be accurate, the blueprint area could be too large, and this could negatively impact the generated coverage maps. 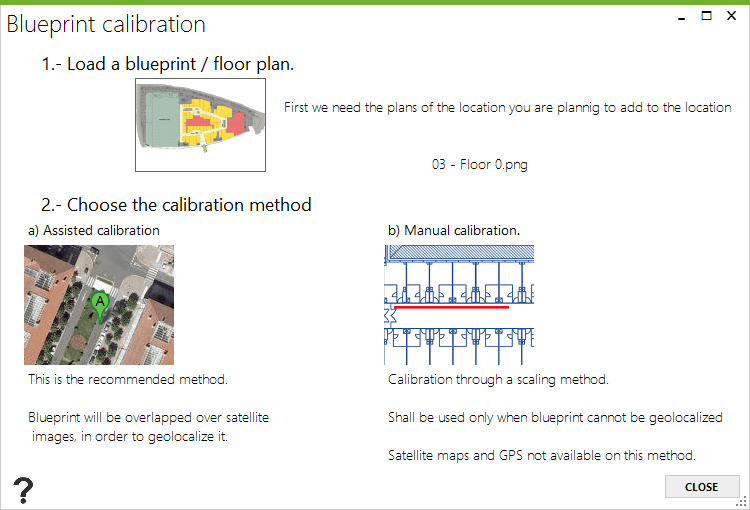 The second site survey blueprint calibration option involves scaling the blueprint. Manually calibrated blueprints, depending on their scale and dimensions, are suitable for performing indoor measurements when results are not required to be geopositioned. 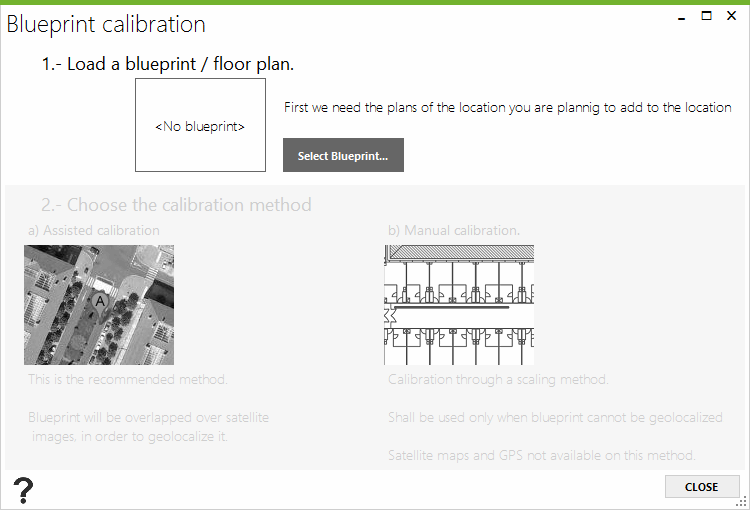 When selecting the manual calibration option, a window showing the blueprint is displayed. In this process, you must indicate the distance between two points. Position on a specific area in the blueprint and then click on one point. The following step consists on selecting another point in the blueprint to calculate the distance between the two points. 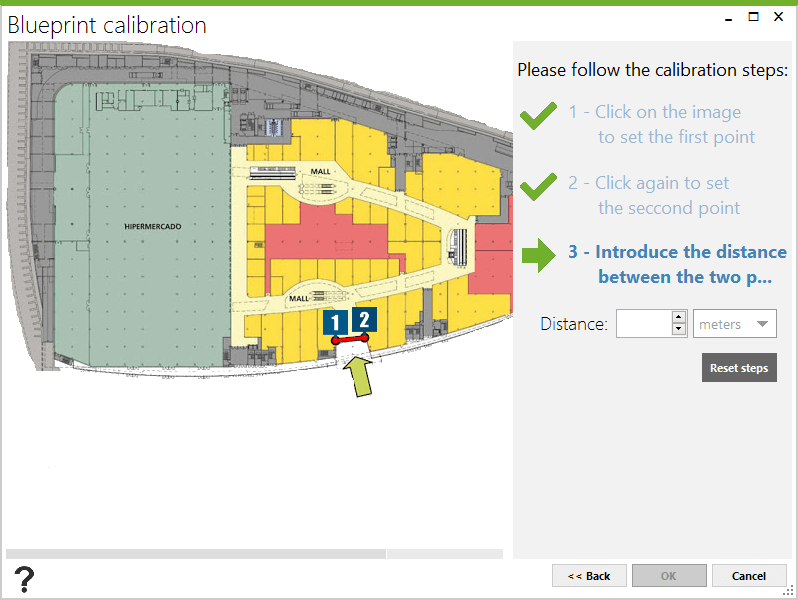 To complete the calibration, you have to enter the distance between the two points, in meters or feet.